Technical Sergeant Justus joined the armed services with a group of men from Brookings, South Dakota on February 22, 1942 at Fort Leavenworth, Kansas. Basic training at Sheppard Field, Texas in the Army Air Corps. Member of the 370th Bomber Squadron of the 307th Heavy Bombardment Group. Aerial engineer on a ten-man bomber crew. Received training at Consolidated Aircraft's Camp Consair in California, Las Vegas, Nevada, Davis Monthan Field, Tucson, Arizona and Alamogordo and Clovis, New Mexico. 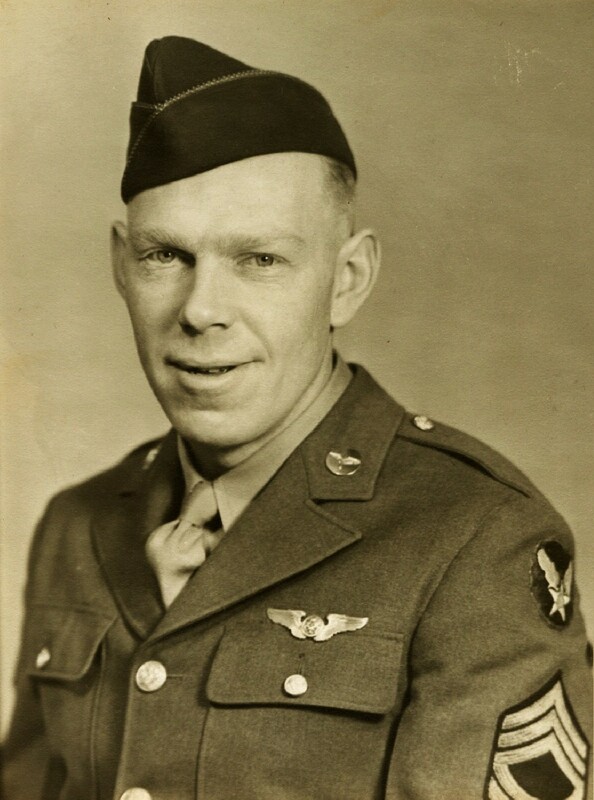 Transferred to Topeka, Kansas and assigned to duty as flight engineer with the crew of a B-24 Liberator bomber. They flew to Sacramento, California and then later to San Francisco from where they left for Honolulu on April 2, 1943. There they trained for eight weeks longer, before being sent to the Solomon Islands, to be stationed at Carney Field on Guadalcanal Island. He was reported missing in action on July 6, 1943 in the South Pacific. He was on his eighth mission from Guadalcanal to Dahlia Field on Bougainville. The aircraft was last seen two-thirds of the way back over the island of Choiseul. The Japanese controlled the island. Circumstances were more mystifying because the weather was not bad, nor had the crew forwarded any signal of distress. An extensive search failed to reveal any trace of the missing craft or its crew of ten men. Searches for the crew continued until January 21, 1945. Officially declared killed in action thirty months later. Memorialized on the tablets of the missing at Manila American Cemetery, Fort Boniface, Manila, Philippines. Awarded the Air Medal and the Purple Heart posthumously.